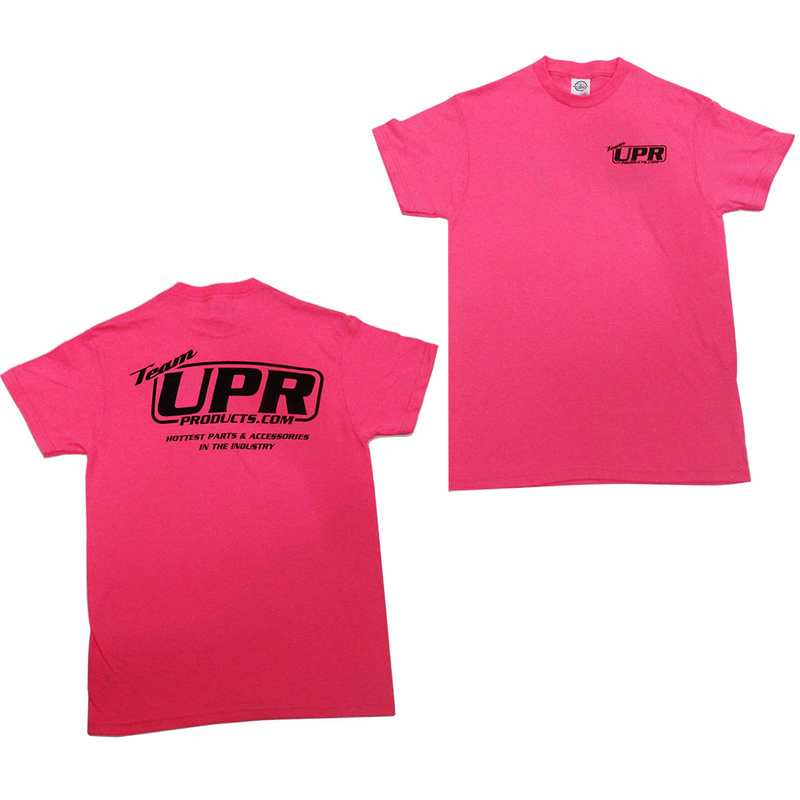 Show your UPR pride with this pink Team UPR T-shirt. Made from 100% cotton and comes with small Team UPR logo on the front and large logo on the back. Installs in seconds. No one else can stack up to the bold clean styling of our aftermarket Billet dress ups, Street Strip & Racing Suspension & Performance Parts for your late model American Muscle Car!